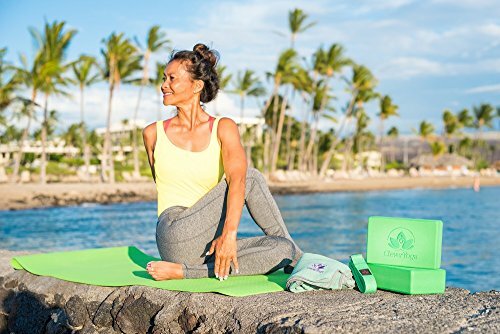 PERFORM MOVEMENTS COMFORTABLY ON OUR BEST SELLING MAT: The BetterGrip Yoga Mat has double-sided textured surfaces to give you the most comfortable, non slip yoga mat experience possible. The extra thick yoga mat (6mm) protects joints without compromising support or stability and is the perfect beginner yoga mat. 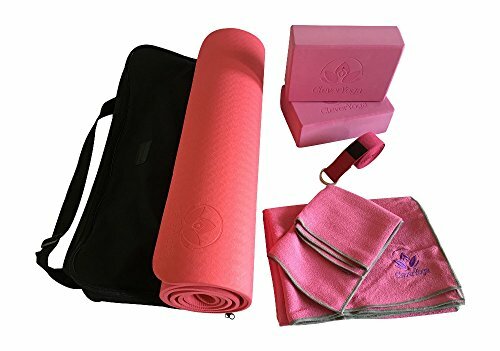 And at 72" long x 25 1/4" wide it's more spacious than most other yoga mats THE MOST COMPLETE SET ON AMAZON: Other beginner yoga kit only contain four, five or six pieces of equipment. Our kit has seven to make sure you have everything you need to build a solid foundation or take your yoga to the next level. The yoga set can also be used in the gym for general sports and workout from pilates and stretching to balance. 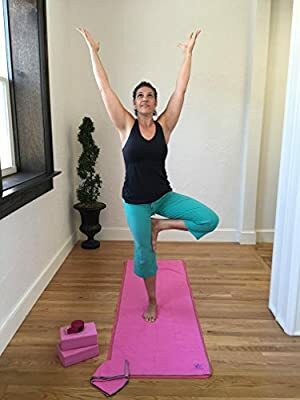 Featured in Yoga Journal Best of 2016 Yoga Props Accessories for its exceptional quality and unbeatable value ORDER TODAY, RISK FREE: We love our customers! Our mission is to bring you the best yoga products on the market so you can get the most out of your personal yoga journey. That's why we offer our special "Namaste" warranty. In the unlikely event you're not 100% happy with your purchase, we'll send you a free replacement or give you a full refund, no questions asked! EVERYTHING A BEGINNER NEEDS TO GET STARTED: New to yoga? No problem. Prop set includes all the yoga accessories a yogi needs to start their journey. A non-slip TPE yoga mat. Two durable foam blocks for proper positioning and support. 8 ft cotton yoga strap to increase flexibility and prevent injury. Microfiber yoga towels both mat and hand towel for a slip- and sweat-free workout PERFECT FOR PRACTICE AT HOME OR IN STUDIO: Our Starter Kit allows you to practice safely with confidence in the comfort of your own home. Ideal if you are doing yoga for beginners or intermediate levels, men and women. With proper technique, these props including the 2 yoga blocks will help you master yoga poses in no time at all. Everything fits into a handy yoga bag for easy storage and transportation.